Students have a strong interest in UFOs and “space stuff” because of the prevalence and prominence of those concepts in pop culture. Because of this, UFOs may be the ultimate teaching resources since students already have an inherent interest in pop culture. Whether or not UFOs are “real,” they figure prominently in our society, selling us products on television commercials, are featured in major movies and books and have encroached on everyday life through common expressions and dinner party conversations. If UFOs are not a physical phenomenon, they are definitely a psychological and/or sociological phenomenon. In either case, they are of scientific interest. What’s more, they should be of great interest to educators because talking about UFOs can be an excellent way to teach students basic principles in many fields, including the physical and social sciences. For the purposes of this presentation, let’s not even get into the debate over whether UFOs are or are not alien spacecraft, but talk in terms of possibilities and the implications of extraterrestrial life. This isn’t necessarily as obvious a connection as you might think, since UFOs are not necessarily from outer space. But if they are, where could they be from? This question leads us into many facets of astronomy. What kind of star is our Sun? Is it bigger than average? Smaller? Hotter? Where is the Sun in relation to other stars in the sky? Then there are some specific exercises that can lead to an understanding about distances in the universe. For example, one star system said by some people to be the origin of aliens visiting Earth is Zeta Reticuli. (Some students may have heard of this already!) Where, exactly, is it? Can we see it from your city? How far away is it? A good way to get across the scale of astronomical distances is to make a scale model of the Solar System and then extend it to a model of the nearest stars. If you use a pea as a model of our Sun, how far away will the next nearest pea be? Across the room? Down the hallway? Across the street? This topic leads naturally from a discussion of stars and their differences. How do planets form? How did the Earth get its oceans? Are planets common or rare in other parts of our Galaxy? How likely is it that other star systems will be suitable for life? Many people have seen shooting stars. But what are they? How big are they? I sometimes get a grain of sand and place it in a vial to show and pass around as an example of the true size of a typical meteor. What are bolides? This topic can spin out into a discussion about constellations and mythology. There is so much richness for learning opportunities here, you really can’t go wrong. But a real shocker for most students will be that they don’t need a telescope to do basic astronomy. How many planets can you see with the naked eye? Why do stars twinkle, but not planets? What are comets? Galaxies? Nebulae? Okay, you want to get there from here (or vice versa). How? Would aliens use rockets or a Space Shuttle? An overview of rocketry is perfect here. What were the first rockets? How do rockets work? What are Newton’s Laws of Motion? How did we get people to the Moon? Is a trip to Mars feasible? Why does the Space Shuttle not burn up? Then, you can get into the history of space exploration. What was the first satellite? Can we see satellites in orbit? What does the far side of the Moon look like? What were the Voyager and Galileo space probes? Where are they now? One exercise I sometimes use (depending on the age and maturity of the group) is handing out a copy of the plaque attached to the Voyager spacecraft, intended for use and analysis by aliens. The International Space Station is a topic all on its own. How is it being constructed? Is there really a “railroad in the sky?” How does it get its power? What will it look like when it is finished? What about interstellar travel? How could we travel between stars? What are light sails? Bussard ramjets? How long would a trip take? What is the Theory of Relativity? Many kinds of weather phenomena can look pretty weird. Noctilucent clouds glow brightly long after sunset, and lenticular clouds look like giant flying saucers. Sundogs are neat, and most people don’t know they are simply a kind of rainbow. One mysterious (and thankfully rare) phenomenon is ball lightning, which can seem to move with a mind of its own. 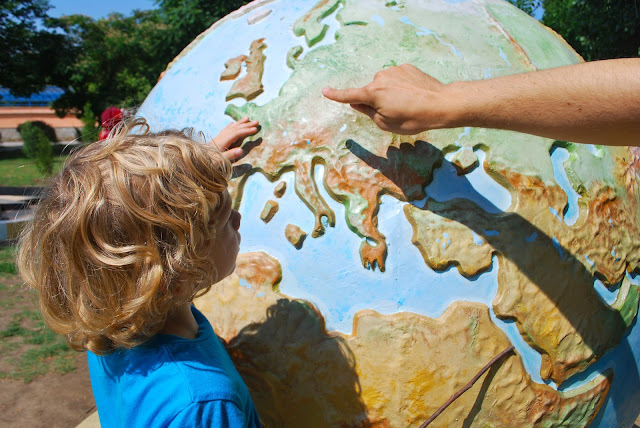 A stepping-off point here would be weather observation and forecasting, which many students will find interesting, especially if they test the accuracy of weather forecasts. Many science teachers are aware of an exercise called “Invent an Alien,” adopted by many schools for teaching exobiology. The idea is to make students think about the necessary characteristics of an alien living on a planet in our Solar System. We can get students to ask some serious questions about the physiology of aliens speculated to live on other planets. How could an alien breathe on Mars or Jupiter? How would it move around? What would it eat? What would it look like? Communicate? Reproduce? Sightings of UFOs bring up the subject of perception. This would be a good way to introduce optical illusions and show that things are not always what they seem. Autokinesis can be demonstrated to show that stationary objects can seem to move in the sky. It’s very difficult to judge distance and velocity of an object in the sky, especially without a reference point. But exactly how difficult? Another branch of psychology is clinical psychology, which includes hypnosis. Does it work just like on TV and in the movies? What about belief systems? Does believing in something sometimes make you think it is real? What is a psychosomatic illness? Is there water on Mars? If not, what are its ice caps made of? Why does Mars look red? Could we breathe the air on Venus? What is our air made of? Why are Jupiter’s bands different colours? These are all questions relating to the chemistry of planetary atmospheres, and can give students an idea of what we need to survive on this planet. These are more of the “fun” questions to ask. We can get into all sorts of speculative ideas by trying to imagine what aliens would be like. The best way to do this is to compare our own behaviour with that of how we might imagine aliens to behave and interact. What would a truly alien civilization be like? What would its government be like? How would it educate its young? If an alien landed on Earth and said to you, “Take me to your leader!” ... to whom (and where) would you take it? How would you explain to an alien the concept of war? Money? Love? These are just some of the subjects which could be taught using UFOs and aliens as a starting point for learning. All of these areas use straightforward scientific principles as a way to understand a popular topic. There is no “pseudoscience” here - just good science. This is a positive and enjoyable way to help your students grasp scientific concepts and apply them to the UFO phenomenon in all its varied aspects. We’ve just covered the scientific disciplines teachable with UFOs as a topic. But what about other disciplines? I’ve been contacted by ESL instructors who were using UFO books as texts for reading. Again, the students were interested in the topic, so the instructional materials worked well. Paranormal subjects and magic really have a way of catching the imaginations of young readers. (Just look at the popularity of Harry Potter, Goosebumps and Animorphs, to name a few!) Stories about aliens can be found in most popular fiction series, and juvenile science fiction is an ever-growing market in the book publishing industry. Using a scenario such as “I was abducted by an alien” can be a lot of fun for a creative writing assignment, and students will enjoy letting their imaginations run wild. Twice now I have been asked by electronics dabblers to evaluate “UFO Detectors” on their operating principles. It’s a fairly simple project, basically something which detects magnetic fields. (This assumes, of course, that alien spaceships generate such fields.) So, with that in mind, why not get your students to design such a device, and have them explain the theory behind it? Oh, and if they actually detect anything, let me know. I once had the cooperation of the teacher of a grade school class in a fascinating comparative experiment. Two of the students in the class had reported seeing a UFO several days earlier, and their parents were convinced they had a real experience. When I visited the school to talk with the students, their homeroom teacher asked me to talk to his class about UFOs in general, but I had a better idea. I gave all the kids an assignment to draw or colour a picture of what they thought an alien spaceship looked like. What they handed in at the end of the hour was pretty interesting. They all drew elaborate aliens with their spaceships, many of which were modeled after spacecraft on TV shows like Star Trek and movies such as Star Wars. Except for two drawings, by the two students who had said they had actually seen something. They both drew dull, boring pictures of a grey, disc-shaped object hanging in the sky. It didn’t have any windows or flashing lights or any aliens peeking out. It didn’t seem like they used their imaginations at all. Have your students make a video of a newscast about a UFO sightings or an abduction. See if they can interview someone in their community who has had an experience. Rocker, Donald E. It worked for me. Grade Teacher, Dec. 1968, pp. 24, 26. So, you now have some ideas on how to motivate your students. If their heads are going to be in the clouds anyway, at least they can get some good learning done! This is a lengthy post about UFO artefacts. Because of its length, I have split the post into three parts. Well, that made the Ottawa club members sit up straight. They actually had a chunk of UFO hardware, so the Condon Committee should take a look at it! On June 21, 1967, Halford-Watkins wrote to Dr. Edward Condon at the University of Colorado, describing the chunk of metal and sending along a copy of the 1966 Topside article about it. If the Colorado group of scientists decide to accept this offer, we shall await in due course and with a great deal of interest, a report on their findings. We sincerely hope that it will be a factual and truthful one, with nothing concealed – but how can we ever be sure of this? Alas, Condon didn’t reply, so on September 11, 1967, Halford-Watkins again wrote him, this time with registered mail. Immediately, Condon’s secretary responded, explaining that the Ottawa club’s offer had been punted to Roy Craig, a physicist at the University of Colorado and the project’s chief field investigator, but a committed debunker. Your letter to Dr. Condon written on June 21, 1967, recently came to my attention. The piece of metallic material you mentioned, since it cannot be related directly to an unidentified flying object, would not seem of sufficient value to our study to warrant further analysis by us. Craig recognized the lack of good provenance of the metal chunk, and therefore didn’t see much sense in wasting his time with it. Besides, it is known that during mid-1967, Craig was greatly involved in an investigation of the noted Falcon Lake UFO case in Manitoba, and had spent some time hiking through the forest in search of that site. This cursory brush-off was not entirely unexpected, as by this time we had gained the distinct impression from colleagues in the U.S. and elsewhere, that the Colorado project was not an all-out effort to solve the UFO mystery and was likely to be over-shadowed by USAF policy. …we welcomed the opportunity to play our part in assisting the Colorado investigation and duly arranged for [Craig] to be driven out to the site where he took photos of the metal and we chipped off samples for him and supplied him with copies of the last 2 analysis reports. Topside, #29, 1968, pp. 11-12. While not committing himself that the material we supplied on the metal and WBS would be used in his report, he said he would give the matter some serious consideration. We entertained our guest and an interesting discussion on UFOs followed, but as much of this was on a strictly “not for publication” basis, we can only honour our word to [Craig], who stated it was hoped that the Colorado UFO Report might be ready for publication in September. As for our small contribution and the Colorado Report itself, we can only hope for the best and that it will be factual and objective reporting. Mosquitoes by the hundreds were chewing us up as we looked at "the mysterious chunk of hardware" which then rested in the yard of the home of an officer of the Royal Canadian Air Force. The officer was a member of the Ottawa New Sciences Club. The club secretary and her husband had graciously driven me from my hotel in Ottawa to the Colonel's home to see the mysterious metal and talk with club members. As I looked at the "mysterious metal," my hosts offered to get whatever samples I wished to take from it. The chunk did look to me for all the world like ordinary foundry waste. They brought a sledge hammer, with which we knocked off a small protruding piece which I placed in my briefcase for reasons that were not entirely clear, for it seemed the material had already been analyzed adequately. From: Craig, Roy. UFOs: An Insider's View of the Official Quest for Evidence. University of North Texas Press, 1995, pp. 121-132. Their faith in revelations received through a spiritual medium during seance obviously was stronger than their faith in man's knowledge of nature as obtained through the methods of his science. Was it merely because that belief had been held by the late Wilbert Smith, whom they regarded with such high esteem? What puzzled me was the repeated demand for scientific analysis and use of arguments of scientific vein to refute undesired scientific results. This has amazed me as well. On the one hand, UFO groups and organizations proclaim their approach to the UFO phenomenon is highly scientific, and spend time and effort to ensure specific protocols are followed regarding collection and analyses of physical traces associated with UFO cases. On the other hand, they also accept unsubstantiated claims of contact with aliens, subjective testimony by witnesses with low credibility, and encourage speculation about “interdimensional portals” and “phase-shifting” of alien spacecraft to explain UFO witnesses’ observations. The willingness to embrace the possibility of advanced alien technology that seems to violate physical laws in order to account for UFOs that vanish suddenly, enter and leave bodies of water, and are visible only to select individuals, contrasts sharply with the desire to appear and sound scientific. The “mysterious chunk of metal” was a fetish. Why, then, the insistent demand for repeated physical and chemical examination of something whose ultimate significance was considered to reside in psychic or spiritual realms? The Ottawa UFO club was undaunted, however. During the 3-month Colorado silence period, some interesting developments were taking place in Canada. 1. The corrosion on the part was slight and only superficial. 2. The specific gravity was very high. 3. The hardness was Rockwell B 94. The chemical analysis does not correspond to any commercial manganese steels as they contain either more carbon and silicon or some nickel and molybdenum. The alloy work hardened very heavily during the process of cutting which is inherent to such an alloy. The slipped lines were more pronounced once nital reagent was used. Since deep electro-polishing was used in this instance, it indicates that the material went through heavy impact that caused the different planes to slip. The fact that this composition does not correspond to any known commercial manganese steel, is in itself very interesting, but it does not exclude the possibility of unpublished new materials being used by either the U.S. S.R. or U.S.A. in their space probes. Now, if this metal underwent such heavy impact as to cause extensive slippage, surely it is a reasonably logical conclusion that this hardware must have been part of a spacecraft that came to grief - it is hardly conceivable that a foundry product would be subjected to such extreme impact. The report states that the metal does not correspond to any known commercial manganese steels and suggests the possibility of an element they know nothing about. This again surely suggests an extraterrestrial metal. It is possible, of course, as suggested in the report, that it might have been part of a Russian or American space capsule, but if this were the case, why didn’t the Canadian Government agency hang on to it? Could it be that, in fact, it was completely unidentifiable and that rather than admit they had proof-positive of a UFO, they preferred to ignore it? The leader of this group of scientists, Professor John Jonas (the only one identified by name at this point), encouraged Anstee to get the Ottawa club in contact with a few government metallurgists to test the samples. The necessary contact was made with these 2 gentlemen and full details, including the latest analysis report, were passed on to them. 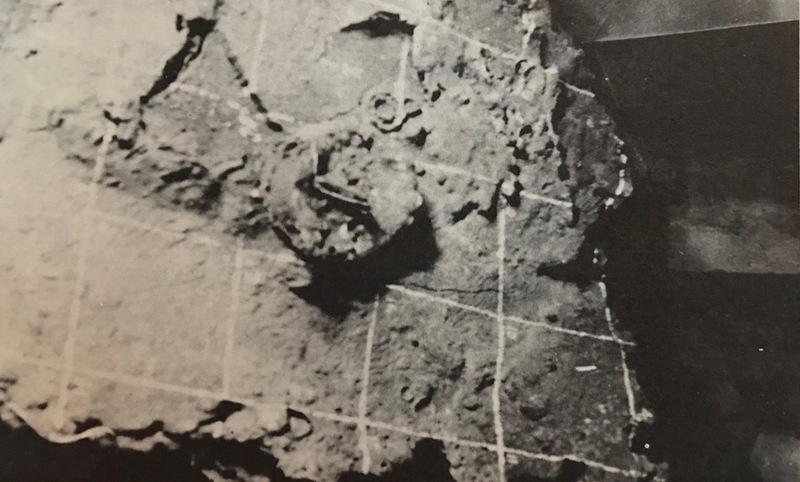 The 2 scientists expressed interest in the hardware and on Oct. 14/67, arrangements were made for them to examine the mass of metal on site and take samples of it for investigation. Both appeared extremely intrigued by the mysterious circumstances surrounding the finding of the metal and subsequent tests on it. Later, word reached us by telephone that they were prepared to carry out extensive tests and analyses of the samples of metal. It was explained that a thorough analysis was normally rather a long and costly procedure and they were of the opinion that such a comprehensive analysis had not yet been carried out on the metal. However, they were, at the time, working on some new experimental equipment by means of which it was hoped to conduct such an analysis with a great saving in time and money. Special parts for this equipment were on order from overseas and it was added that delivery of these parts and subsequent testing of the completed apparatus might take anywhere up to 6 months to complete. However, when it was ready, the necessary investigation would be carried out and a report of the findings sent to us. Eight years after the CARDE analysis, the group was still seeking additional analyses, and the club secretary suggested I might get additional information from Dr. Eric Smith, Chief, Metal Physics Section of Canada Department of Energy, Mines, and Resources. Dr. Smith had samples of the metal and was awaiting completion of installation of new equipment from Japan, with which he would conduct thorough tests and analyses. When I later contacted Dr. Smith, he said he indeed planned to analyze the material, but he wouldn't be at all surprised if it came from the Sorel Iron Foundries, Sorel, Quebec, more than fifty miles upstream from the site where the material was found. He said production of high-manganese steel is one of the specialties of this foundry, and it is standard practice to dig a hole in sand and dump surplus or non-specification molten material into it. A plug often is inserted so the accumulated mass can be grasped for moving by a crane. Such waste is not utilized or recovered because of its uncertain composition. Dr. Smith said, further, that large chunks of such waste are known to have been buried around a foundry of the Sorel type. His description of the material matched the chunk of metal in the Colonel's yard precisely. Later, Halford-Watkins wrote about how Dr. Eric Smith visited the Club and examined the large artefact. 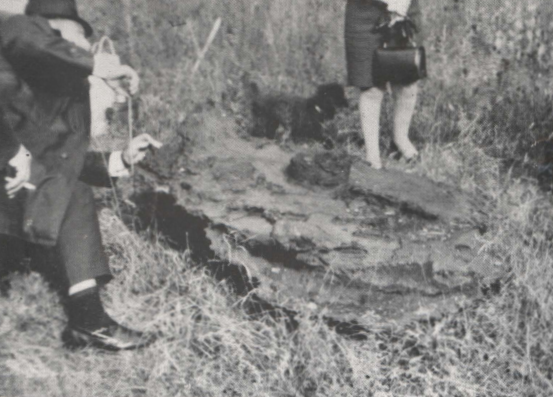 ...in September 1967, Dr. Smith examined the mass on site, took samples and promised a full report on his findings. After two-and-a-half years of continued delaying tactics we are still awaiting his report! The Topside group was persistent. They sought additional testing by anyone who might help them establish the extraterrestrial nature of the 3,000-pound artefact. Millman was officially Head of the Upper Atmosphere Research Section, Radio & Electrical Engineering Division, of the NRC. At a meeting of the Ottawa club, held in the home of Arthur and Dorothy Bray, Millman, an outspoken UFO debunker, had given a talk about the scientific view of UFOs. It was during this meeting that the members had asked, and he had agreed to try and get the metal analysed. But Millman’s response was even more noncommittal than that of Roy Craig. He effectively played cat-and-mouse with Halford-Watkins for many months. …there was “nothing unusual” about the metal, that it was manganese steel, and apparently ladle residue from the Sorel Foundry in Quebec, which inserts a pipe into the hole where waste molten metal is poured, and after solidification, the pipe is used to lift the mass of metal. This disturbed Halford-Watkins, who was upset that Millman was telling others about his findings on the metal but had not told the Ottawa group. She sent an angry letter off to Millman, demanding to know what was going on. Further complicating the matter was the intervention of another UFO fan who wanted to test the metal scientifically. This was Arthur H. Matthews of Lac Beauport, Quebec, who said he could test the metal using a “Tesla Bridge” and determine if the object had ever been in outer space. Matthews was a contactee who channelled messages from Nikola Tesla and had constructed a Tesla Scope for communicating with aliens. He claimed that in 1941, aliens from Venus had landed their spacecraft, called the X-12, near his farm and had began a series of meetings with him during which they imparted esoteric knowledge. 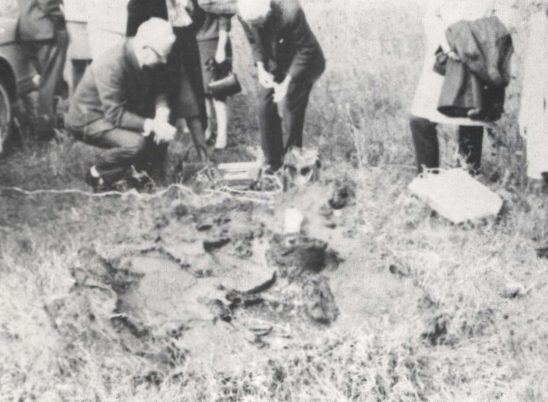 On September 28, 1969, members of the Ottawa club, along with Ronald Anstee, watched as Matthews tested the UFO artefact at their meeting place. But even they were appalled by what transpired. The test appeared to consist of stringing wires and a small flat box-like object across the metal, which were linked up to a tape recorder on which Mr. Matthews made two 6-minute recordings. Despite questions, Mr. Matthews declined to explain how the Tesla device worked. All that he admitted was that it had been used to detect flaws in metal railway lines. …left some grave doubts in the minds of some of our technical workers who witnessed it, particularly as no scientific proof was forthcoming to support it, and most of them were unable to accept that it was possible to prove that the metal mass had never been in space with a device used primarily for detecting flaws in metal railway lines! It was also noted that the volume indicator on the tape recorder link to the Tesla Bridge showed no signs of life. Topside, #35, Winter 1971, pp. 29-33. It required many hours of careful study to complete the Tesla Bridge, but only 12 minutes to test the block by means of Tesla's instructions. This test was recorded by transfer onto a magnetic tape and my study of this on return to Quebec proves without any doubt that it is a man-made form of iron and is without any doubt composed of Earth found ores. This piece of metal was never in space. Further tests to prove my statement can be done if the complete block is applied to a reverberatory furnace. Here was news indeed. So the mysterious Mr. X was a federal authority! As Dr. Millman has the responsibility for government UFO research, and by Mr. Matthews’ own admittance, he made two telephone calls to the National Research Council on arrival in Ottawa prior to the test, we could only assume that Dr. Millman must be the federal authority concerned. By early 1970, with no reply from Millman, Halford-Watkins declared victory. To date, two months later, no reply has been received to this letter, which was not entirely unexpected. Did Dr. Millman find our questions too sticky to answer, or was he adopting the safer course of the old adage that says “silence is golden?” We are not blaming him personally for this somewhat cavalier attitude towards a public request for information - in fact, we have some sympathy for the embarrassing position he now finds himself in. Even as a senior civil servant, he still has to take his orders from a higher authority and as long as governmental silence policy exists on such matters, this situation will continue, although we believe the day will finally dawn when governments will recognize their moral responsibilities and give the public the true facts. Dr. Millman stated that competent scientists experienced no difficulty in recognizing the non-terrestrial nature of certain space material. He also deplored the mystery which had been built up around the chunk. These two latter statements we regard as the biggest enigma of all. If it is such an easy matter for scientists to determine the Extra-Terrestrial nature or otherwise of material tested, why has it taken the government over 9 years to produce a simple statement of the facts of the case, thereby itself creating much of the mystery that has surrounded the metal? …we admit to being somewhat puzzled at the delay if, as alleged, the results of the study show no evidence of extraterrestrial origin - or could it be that proof of this would not stand up to close scientific scrutiny? And thus, as all along the line, it has been governmental silence which has created much of the mystery that still surrounds the 3,000-pound chunk of unidentified hardware. Topside, #34, 1970, pp. 22-23. Here, she may have had a point. Millman was dodging the issue and adding to the confusion through his reluctance to reply directly to her. She published excerpts from correspondence between Bray and Millman that show his dance of vagueness. In his letter dated January 1970, Dr. Millman states: “I should remind you that in the case of material from space such as moon rocks, meteorites, reentry debris from spacecraft, there has been no difficulty experienced by competent scientists in recognizing its non-terrestrial nature and identifying it as different to terrestrial material.” … And yet, in a letter dated September 9th, 1969, Dr. Millman had this to say: “I think I should mention here, however, that even with a complete examination and analysis of such a specimen, it is not a foregone conclusion that we can give an absolutely definite yes or no concerning its terrestrial or extraterrestrial origin.” Topside, #34, 1970, pp. 22-23. Halford-Watkins was justifiably confused by the apparent contradiction. In view of these two apparently conflicting statements, we can only ask two questions: 1) how come they are suddenly so certain that the metal is not of extraterrestrial origin? And 2) will the real Dr. Millman please stand up? Yet another set of tests were done by an American UFO group, the Unidentified Flying Objects Researchers Alliance (UFORA) of Alliance, Ohio. Its director, Paul J.L. Rozich, provided a lengthy report on his testing, the first time they had received something of such depth. No traces were found of Aluminum (Al), Sodium (Na), Phosphorus (P) or Chlorine (Cl). But perhaps the most significant finding of the report is, in fact, a non-finding, i. e, according to the major test conducted on the metal by the X-ray vacuum quantometer, no traces were found of aluminum, calcium, and copper which normally one would expect to find in a terrestrial alloy of magnesium! How she knew this, I am not sure. But she was astute in her realization that the analysis of an alleged UFO artefact requires detailed and advanced studies. Taking an open-minded view of the general metal analysis situation, we are the first to realize that numerous difficulties lie in the way of establishing definitely whether or not a metal sample is of extraterrestrial origin. The obvious reason for this and as pointed out in an earlier issue, is that there is every possibility that other planets have the same elements as those of planet Earth. Most scientists are convinced that the same 92 natural elements found here on Earth are found everywhere in the universe with no new natural elements yet-to-be-discovered. We would only begin to suspect extraterrestrial origin if the sample, upon extensive analysis, was found to be one of the following: 1. An uncommon element, absolutely pure or of unusually high purity. 2. A mixture of elements or an alloy with a highly unusual or previously unknown composition and or set of properties. 3. A compound or mixture of compounds with a highly unusual or previously unknown composition or set of properties. 4. A material with a highly unusual or previously unknown atomic or molecular structure. Dr. Utke concedes that the only evidence which would probably convince scientists of an extraterrestrial origin is a sample whose isotopic distribution differed significantly from that of the same elements on Earth. And even if such evidence was found, Halford-Watkins doubted that it would prove alien visitation. The crucial question is, however, even if 100% foolproof evidence were established, would the scientific establishment be prepared to admit it, or would they produce their usual flow of phony alibis to wriggle out of acknowledging the existence of extraterrestrial material? However, despite the odds against us, we in private UFO research should press on regardless and with sincere prayer that in the final analysis, the truth will prevail! This was the last publication of anything related to the Ottawa club’s UFO artefact. The group ceased publication of Topside in 1971, and they appear to have disbanded shortly after. What happened to the 3,000-pound chunk of metal is not known. John Magor noted in one of his books that it might be languishing in the back yard of one of the club’s homes in Ottawa, forgotten and overgrown with grass and weeds. The story of the testing, retesting and debate over the origin of the chunk is testament to how UFO zealots cling to their beliefs against scientific reason, but also how scientists fail to make their case to those attracted to the subject and undermine their own position. From knowledge of the personal experiences of the late Wilbert B. Smith, of one thing we are sure - those government scientists engaged on UFO research, who work so mysteriously behind the silence curtain, have been well aware of the existence of extraterrestrial material for a long time now! Somewhere in Ottawa, Canada, is a 3,000-pound mass of metal that is one of the first UFO artefacts to have been scientifically tested. The story of claims and counter claims regarding its composition remains unresolved according to some ufologists. But this story is so similar to that of present-day debates about UFO artefacts, it should be held up as a lesson for those involved in the field today.